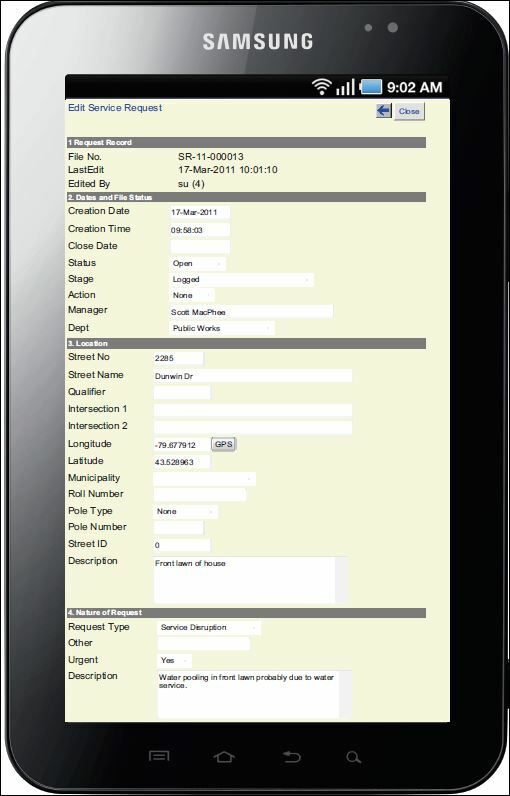 Hunter GIS web-enabled solutions provide mobile device support, enabling in the field access to the database via the device's web browser. The device's web mapping application (e.g., Blackberry Maps, Google Maps) can link to the solution's server to display the location of permits, service requests and inspections. Images taken with the device's camera can be attached to records and uploaded to the server. Please see our BROCHURE for more information.